Product prices and availability are accurate as of 2019-04-16 01:21:27 UTC and are subject to change. Any price and availability information displayed on http://www.amazon.com/ at the time of purchase will apply to the purchase of this product. The GARRISON mini-split ductless air conditioner uses R-410A refrigerant to cool rooms measuring 400 to 500 sq. Ft. 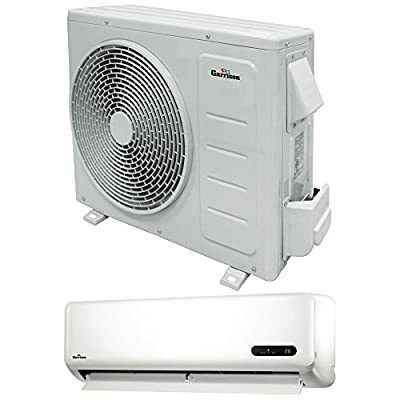 Both indoor air handler and outdoor condensing unit included along with a remote control for more convenient cooling, but its power cord and installation kit are sold separately. This unit features a quiet design, large digital display, easy installation, auto restart function, Turbo mode and refrigerant leakage detection. The unit has a cooling Capacity of 12000 BTU, heating Capacity of 12000 BTU, EER of 8.7 and 115 voltage.